Clarksville, TN – In 100 days, Austin Peay State University’s volleyball team will open its 29-match regular-season schedule, which includes 10 home matches, head coach Taylor Mott released Monday. The Governors will open the 2018 season with an August 21st exhibition contest against Trevecca in Clarksville. It is the first season an exhibition contest has been permitted under NCAA rules and the Governors will seek to take advantage of the new opportunity to prepare for its preconference slate. 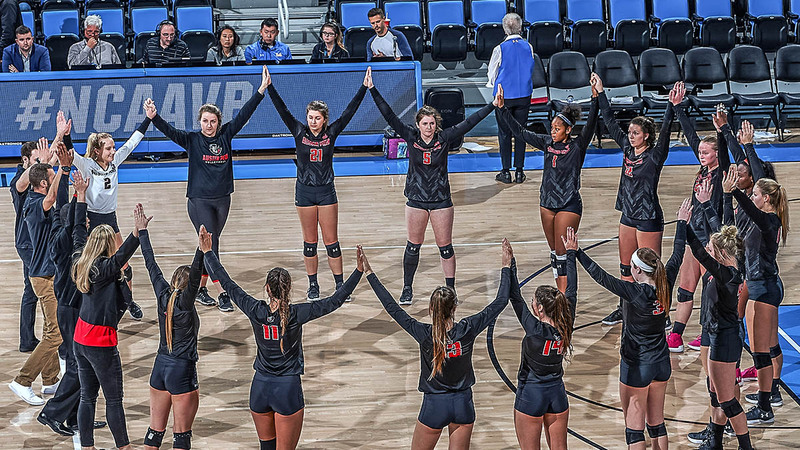 Austin Peay opens its regular season schedule with four weekend tournaments and are set to visit Kansas City, Murfreesboro, Evansville and Houston in successive weekends. The Governors will begin the campaign in Kansas City, Missouri with matches against Western Michigan, South Dakota State and host UMKC, August 24th-25th. The next weekend the Governors will stay in Tennessee for a three-match weekend, August 31st-September 1st, in Murfreesboro. The Govs will face host Middle Tennessee, Stetson and Troy. A quick two-match day trip to Evansville the following weekend features contests against Northern Kentucky and Evansville, September 8th. Austin Peay will open its 10-match home slate with a September 11th contest against Alabama A&M. It is one of two nonconference home matches the Govs will have in 2018. Western Kentucky, which reached the second round of the 2018 NCAA Tournament visits the Dunn Center, October 16th. The final weekend before Ohio Valley Conference play starts will provided the sternest test for the Governors. The trip to Houston, Texas will see the Govs play two teams that participated in the 2018 National Invitational Volleyball Championship: NIVC champion Ole Miss and Rice, along with McNeese State. It also will be a homecoming for Governors Logan Carger and Kaylee Taff, who both are from Houston. The Governors then begin defense of their OVC regular season title with a conference-opening road trips to Southeast Missouri and UT Martin, September 21st and 22nd. In addition to the season-opening road trip, Austin Peay will travel to Belmont, Tennessee State, Murray State, Eastern Kentucky, SIU Edwardsville and Eastern Illinois in OVC play. Austin Peay’s eight-match home OVC slate will be played in two four-match doses. The first four-match stretch will see the Govs host Murray State (September 25th), Morehead State (September 29th), Eastern Illinois (October 5th) and SIUE (October 6th). Two weeks later, the Govs host Jacksonville State (October 19th), Tennessee Tech (October 20th), UT Martin (October 26th) and Southeast Missouri (October 27th). The 2018 OVC Volleyball Championship will be held the week of November 17th at the site of regular-season champion. Two weeks later, the OVC tournament champion will begin the NCAA Volleyball Championship, November 30th, at one of 16 host institutions.